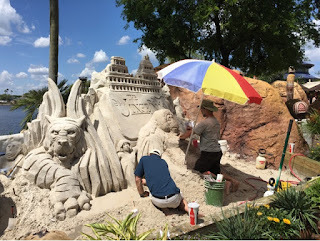 Today, while walking through the Outpost section of World Showcase in Epcot, I saw this crew of artists working on an amazing sand sculpture. It is to promote the upcoming Jungle Book movie. 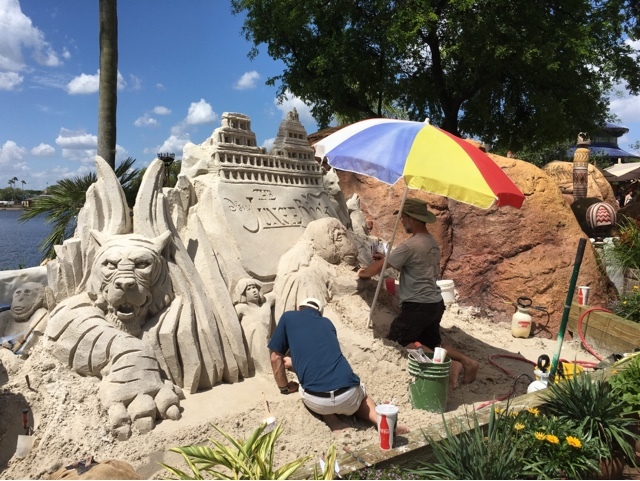 Although I've seen sand sculptures around Walt Disney World in the past, this is the first I've seen in the process of being created.